TasteBud A and I will be spending Christmas eve together this year. It will be the first time we will be spending it together, so it is our opportunity to start a tradition. Since Christmas eve will be riddled with last minute shoppers and restaurant servers who would rather be home with their families, we’ve chosen to create the tradition of cooking a Christmas Eve meal together. When discussing the menu, we wanted to avoid flavors that would inevitably be on our plates the following day. After our wonderful Fall Wine Exchange at Cornerstone in Apsinwall, we decided to use one of their menu options as inspiration and select a seafood stew. Since a close friend has already attempted to recreate the Cornerstone entrée with positive results, we decided to use the online recipe for Cioppino she found as a base. 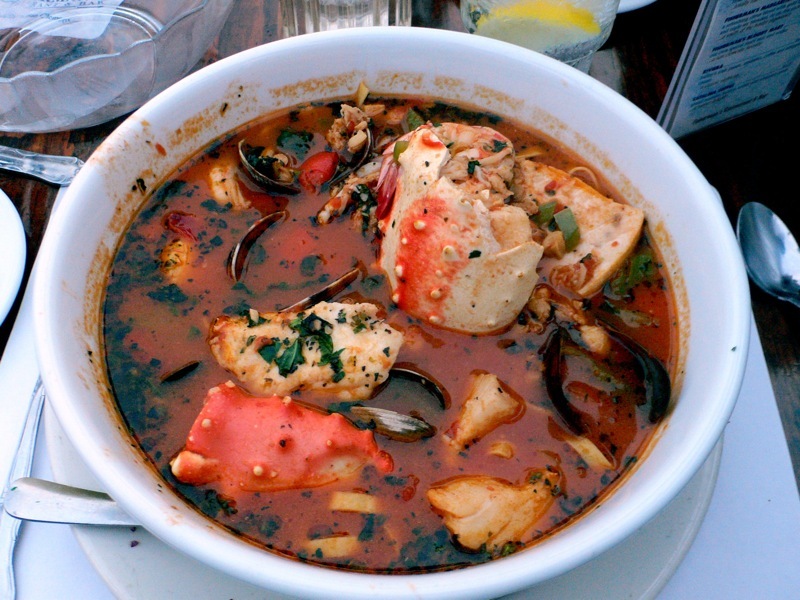 Cioppino comes from the San Francisco area and is a recipe derived from traditional Italian flavors. It’s name comes from the broken english phrase “chip-in” as fishermen were encouraged to contribute ingredients to the stew served at the docks. It is basically made from a mixture of “catch of the day” fish, so the specific fishes used will vary from chef to chef. Learning this, I decided that we have the proper leeway to make this tradition our own. While doing some research into other traditional Christmas eve meals, I discovered that the Feast of Seven Fishes is a traditional Italian Christmas eve meal. Seeing this inspired me – no, it challenged me – to incorporate seven fishes into the recipe. 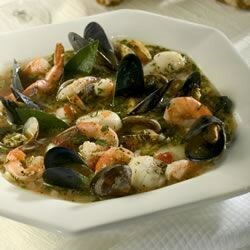 So I started looking for other recipes for Cioppino and found a great website that has 20 different recipes. The broth of this recipe is positioned to be amazing, so a nice crusty bread will accompany the meal. For those that follow the adventures of the Pittsburgh TasteBuds, I encourage you to “chip in” and comment back with your Christmas and Christmas eve traditions. For now, I’m headed grocery shopping for the ingredients to my personally modified recipe and will report the results on Christmas Day.